The Mobile Housing Board’s Housing Choice Voucher Program provides rental assistance to low-moderate income families. A program participant selects a unit (single-family home, apartment, mobile home, etc.) from a landlord to rent in the private market. MHB HCV conducts a basic background check for participant program eligibility. Landlords are responsible for creating their own selection criteria. MHB HCV conducts an initial property inspection once all documents are completed by landlord and participant. 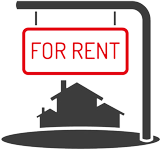 MHB HCV portion of rent is sent directly to landlord via direct deposit. Program participants have a safety net if they experience a loss of income. EMAIL US for further assistance. office to place in a binder located in our lobby.